Surreal humour or surreal humor (also known as absurdist humour or surreal comedy) is a form of humour predicated on deliberate violations of causal reasoning, producing events and behaviours that are obviously illogical. Constructions of surreal humour tend to involve bizarre juxtapositions, incongruity, non-sequiturs, irrational or absurd situations and expressions of nonsense. The humour arises from a subversion of audience's expectations, so that amusement is founded on unpredictability, separate from a logical analysis of the situation. The humour derived gets its appeal from the ridiculousness and unlikeliness of the situation. The genre has roots in Surrealism in the arts. In the early 20th century, several avant-garde movements, including the dadaists, surrealists, and futurists began to argue for an art that was random, jarring and illogical. The goals of these movements were in some sense serious, and they were committed to undermining the solemnity and self-satisfaction of the contemporary artistic establishment. As a result, much of their art was intentionally amusing. 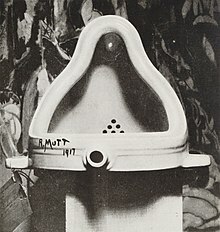 Marcel Duchamp's Fountain (1917), an inverted urinal signed "R. Mutt". The word surreal first began to be used to describe a type of aesthetic of the early 1920s. Surreal humour is also found frequently in avant-garde theatre such as Waiting for Godot and Rosencrantz & Guildenstern Are Dead. In the United States, S. J. Perelman (1904-1979) has been identified as the first surrealist humour writer. Surrealist humour is predominantly approached in cinema where the suspension of disbelief can be stretched to absurd lengths by logically following the consequences of unlikely, reversed or exaggerated premises. Luis Buñuel is a principal exponent of this, especially in The Exterminating Angel. Other examples include The Falls by Peter Greenaway, "Free Time" by The Bogus Group, and Brazil by Terry Gilliam. Today's Internet meme culture is also heavily influenced by surreal humour. Drs. Mary K. Rodgers and Diana Pien analysed the subject in an essay titled "Elephants and Marshmallows" (subtitled "A Theoretical Synthesis of Incongruity-Resolution and Arousal Theories of humour"), and wrote that "jokes are nonsensical when they fail to completely resolve incongruities," and cited one of the many permutations of the elephant joke: "Why did the elephant sit on the marshmallow?" "Because he didn't want to fall into the cup of hot chocolate." "The joke is incompletely resolved in their opinion," noted Dr. Elliott Oring, "because the situation is incompatible with the world as we know it. Certainly, elephants do not sit in cups of hot chocolate." Oring defined humour as not the resolution of incongruity, but "the perception of appropriate incongruity," that all jokes contain a certain amount of incongruity, and that absurd jokes require the additional component of an "absurd image," with an incongruity of the mental image. Wikimedia Commons has media related to Humor. ^ a b Stockwell, Peter. The Language of Surrealism. p. 177. 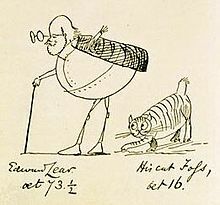 ^ Lear, Edward. Nonsense Songs, Stories, Botany, and Alphabets. ^ Buelens, Geert; Hendrix, Harald; Jansen, Monica, eds. (2012). The History of Futurism: The Precursors, Protagonists, and Legacies. Lexington Books. ISBN 0-739-17387-1. ^ McCaffery, Larry (1982). "An interview with Donald Barthelme". Partisan Review. 49: 185. People like SJ Perelman and EB White—people who could do certain amazing things in prose. Perelman was the first true American surrealist—ranking with the best in the world surrealist movement. ^ Vogel, Amos (2005). Film as a Subversive Art. New York: Random House. ISBN 0-394-49078-9. ^ Williams, Linda (1992). Figures of Desire: An Analysis of Surrealist Film. University of California Press. ISBN 0-520-07896-9. ^ Chapman, Antony J.; Foot, Hugh C., eds. (1977). It's A Funny Thing, Humor. Pergamon Press. pp. 37–40. ^ Oring, Elliott (1992). Jokes and Their Relations. University Press of Kentucky. pp. 21–22. Oring, Elliott (2003). Engaging Humor. University of Illinois Press.